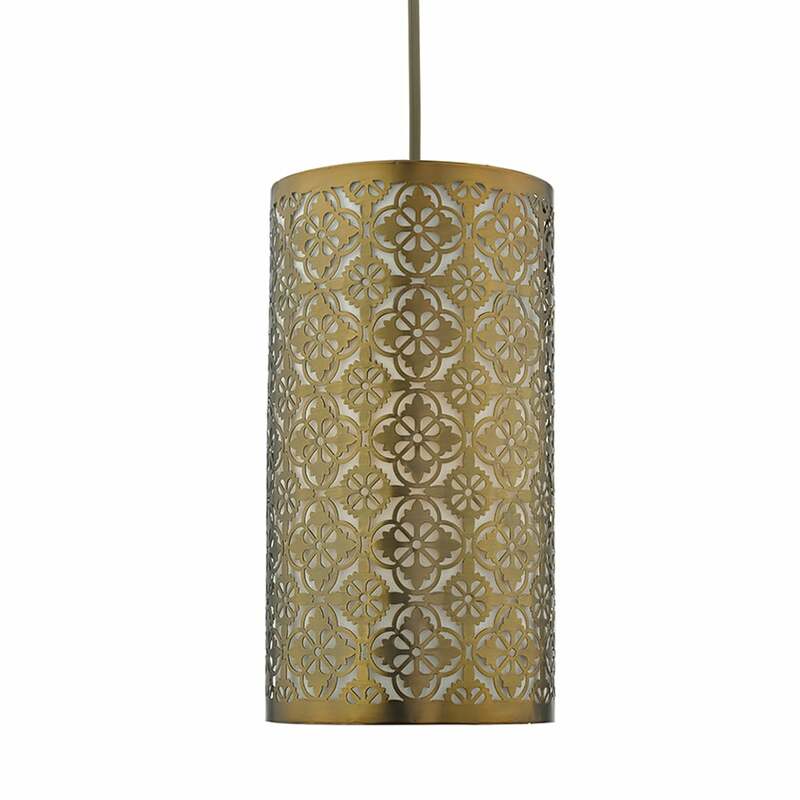 Dar Lighting Akira easy fit ceiling pendant shade features a cylindrical shaped bronze metal shade with delicate fret work design. The oriental style of this easy fit shade will instantly update any room within your home without the need of an electrician and will add a vintage look to your home. Suitable for use with ES or BC lamp holders. This product code is AKI6563. A matching table lamp is also available and a wide range of easy fit pendant shades can be viewed on our website.